Have you been on the fence about purchasing your home this year? Waiting can be costly. 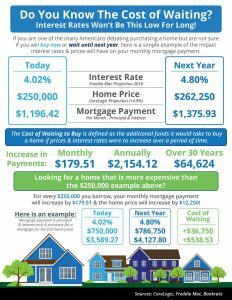 Not only can interest rates rise, but the property will appreciate over time. For more details click on this article.